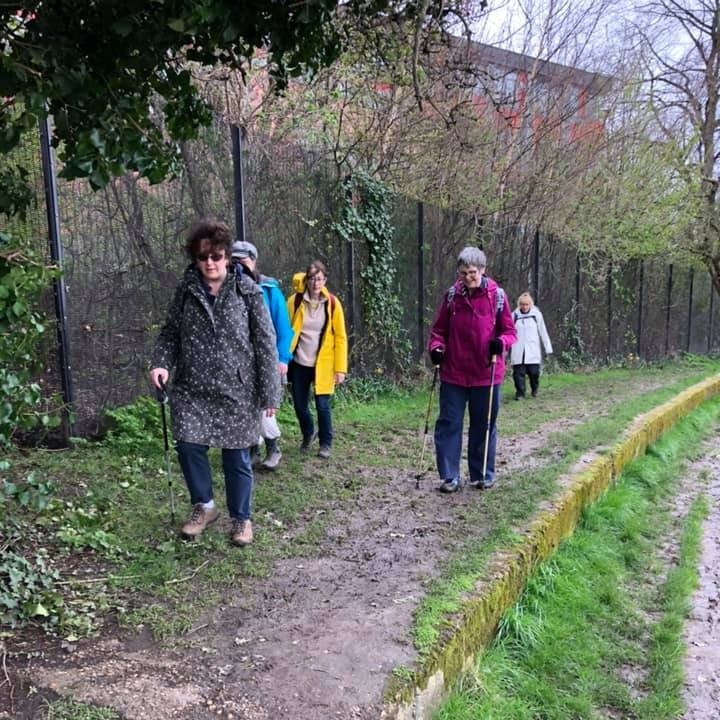 On 15 March, the ‘Magnificent Seven’ set off from blustery Highgate to Parkland Walk, a 2-mile stretch of reclaimed railway track that is now a wildlife haven. We walked on to Finsbury Park, then along the New River Path, a very muddy, very slippery path (options of brambles on one side and the river the other). A couple of us did take a tumble, but in true WI fashion we stopped and made ourselves feel better with biscuits! We stopped at Clissold Park for a well-earned break and a spot of lunch. Afterwards we walked through Abney Park Cemetery, Stoke Newington, where we saw the grave of William Booth, who founded the Salvation Army. From there we walked on to Springfield Park, an important regional geological site. Leaving the park, we crossed the River Lea, where we saw Springfield Marina, home to a large selection of narrow boats. We then walked along the Lea Valley Walk, which took us past Walthamstow Marsh and onto Hackney Wick, where our 9-mile walk finished.